This week, I’m hosting the Eat at Home Challenge on my blog and on Facebook. I’ll be doing a live video every morning around 7 a.m. CT on Facebook making my dinner in the slow cooker. Since I’m following the Slow Cooker Menu Plan from Eat at Home for this challenge, I bought ingredients to make those meals + get our food for the rest of the meals this week. 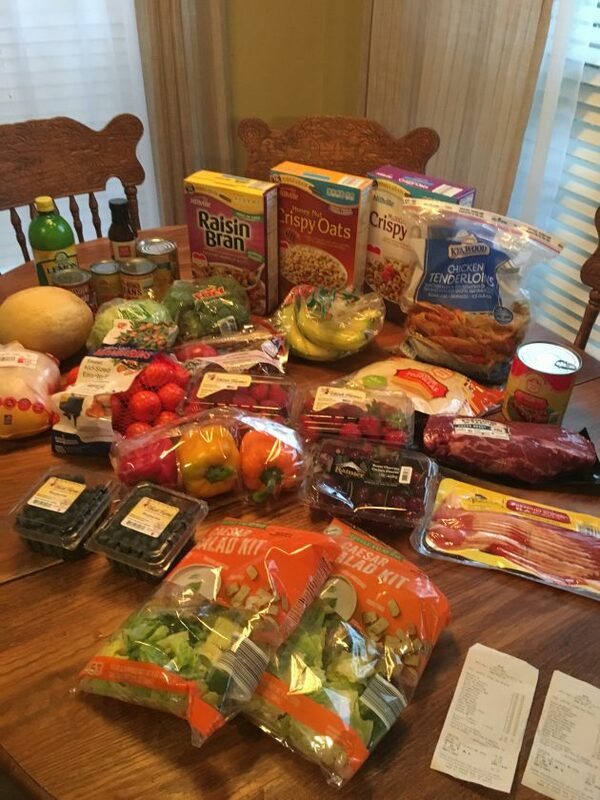 I decided to only shop at ALDI this week for the groceries to see if I could get everything for the Slow Cooker Menu Plan at ALDI. I had to make one or two substitutions, but I was able to get everything we needed! We still need to stop by Kroger to get eggs and some more milk, but otherwise, we should be good for the week! Watch my live video for details on what I bought, why I bought it, the prices I paid, plus some real-life commentary on ALDI! New to shopping at ALDI? 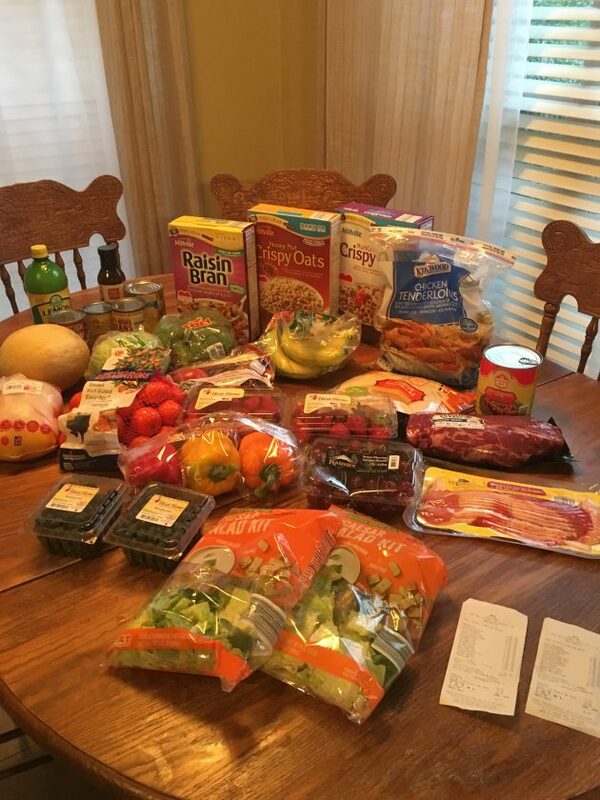 Read how we save close to $1,000 per year by shopping at ALDI. Also, check out my post with my 25 Favorite Things to Buy at ALDI. « PINCHme Sample Tuesday: Get a huge box of free samples tomorrow at Noon EST! I love shopping Aldi every week! I’m also a fan of the multi-grain Crispy Oats… well, my daughter more so. Their frozen chicken breasts have been a lot cheaper than anywhere else, so I’ve been stocking up my freezer! We just got an Aldi’s and I’m in love! 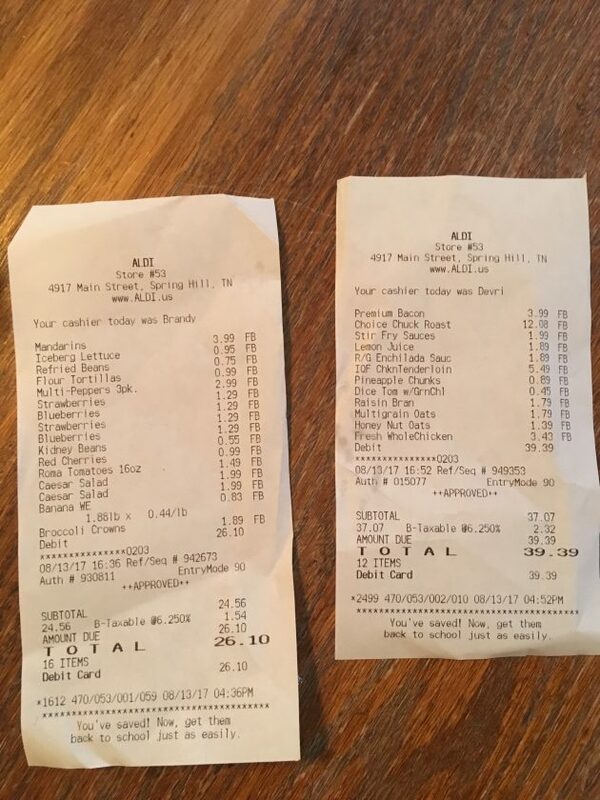 They are currently having a price war with the local grocery store (HEB) and strawberries and blueberries were down to $.25 and avocados at $.10 at both stores!